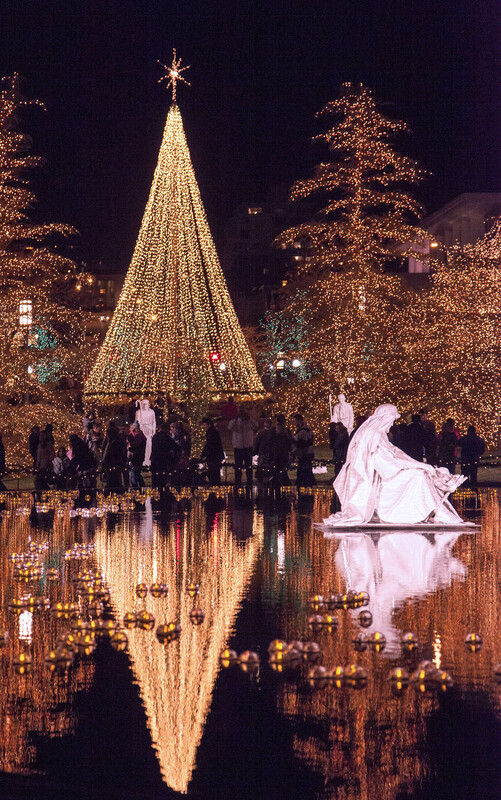 The reflecting pool on Temple Square tells the story of Christmas in twinkling lights. This past year I have been in nearly 30 countries. I have stood on every continent (except Antarctica–maybe next year :). I have been away from home more than I like, more than I should. I have been running as fast as I can, working as hard as I am able. I have had some marvelous, even miraculous experiences. Yet, I would choose to stay home, surrounded by family and friends. 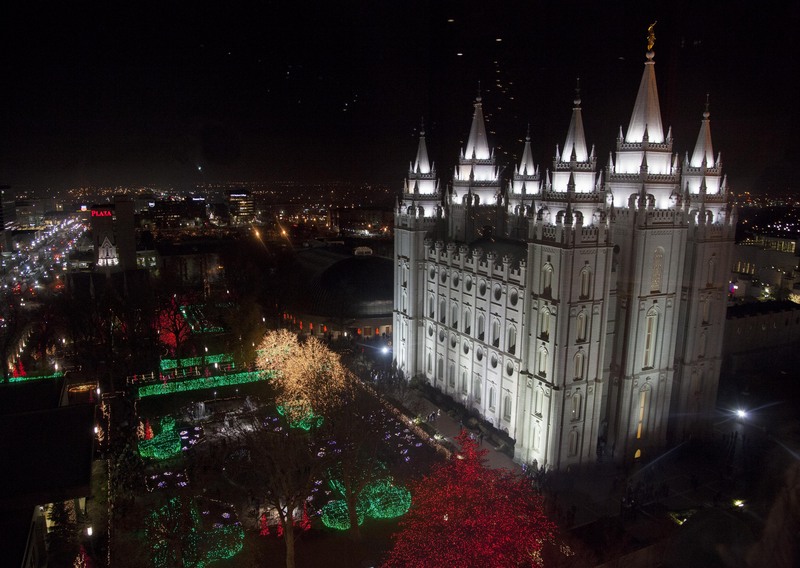 Surrounded by thousands of twinkling Christmas lights, the Salt Lake Temple stands as a symbol of faith and hope to more than 15 million Latter-day Saints (Mormons) across the world. And so it was that our family gathered for Thanksgiving. It was a joyous experience to be with those whom I know love me. The day after Thanksgiving, we all went to Salt Lake City to see the Christmas Lights on Temple Square. As is typical when our family gathers, we were in a hurry. It was cold. We ran through Temple Square trying not to lose each other, trying not to knock anyone over, trying not to lose the Grandparents who wanted to keep up but who kept stopping to enjoy the sights. I barely had time to pull out my camera. 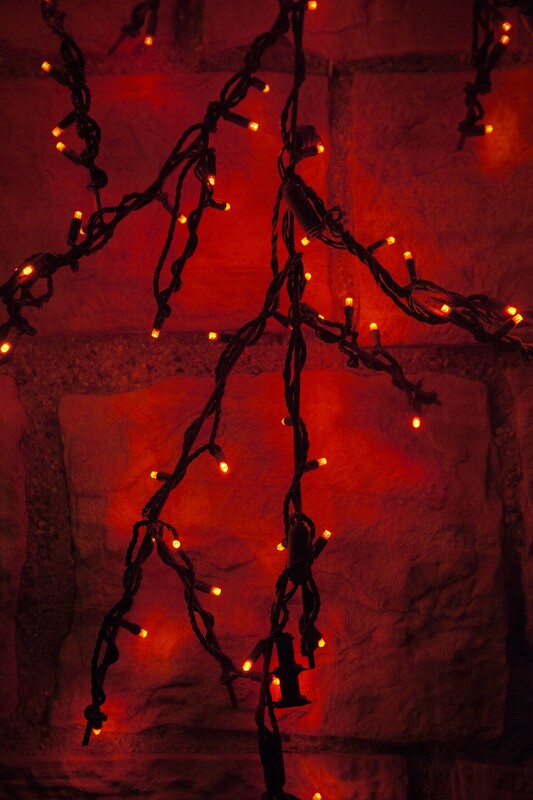 Red, a color of Christmas, lights for the Star of Bethlehem, stone for the Rock of Salvation. After getting separated, and reconnecting (thanks to cell phones), we ended up at my son and daughter-in-laws apartment drinking egg nog and playing “Apples to Apples.” It was fun, and exhausting, in a good way. When we returned home, I realized, again, that the joy of Christmas is in keeping it in our hearts and our homes. I do believe there is a gift, given freely by him, whom we celebrate, that lights our homes, our hearts and our minds, even in the darkest of times. 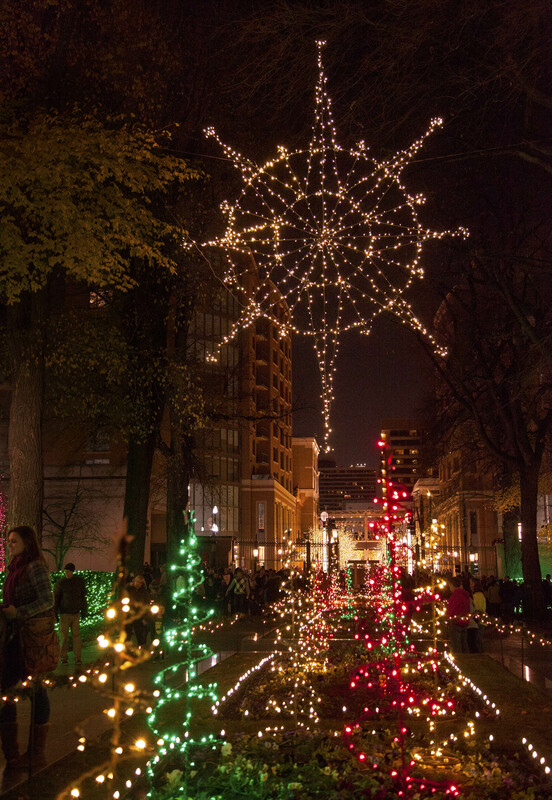 Soaring above Temple Square, a star shaped display points across time to the Babe of Bethlehem, born in a manger.